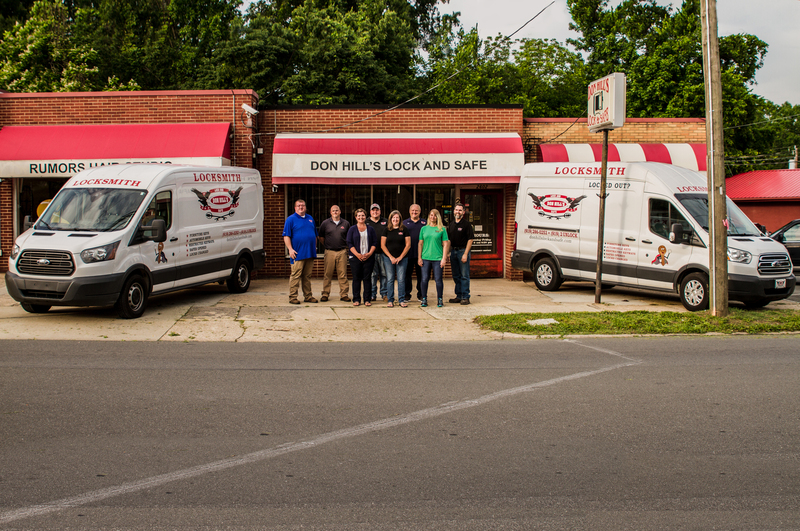 Don Hill’s Lock and Safe is a family-owned business founded in 1964. With 6 highly-trained locksmiths on staff, and over 60 years of experience, we are qualified to meet your lock and safe needs. Located in Durham, North Carolina, we serve the greater Raleigh area, including Chapel Hill, Garner, Wake Forest, Mebane, Hillsborough, Burlington, Greensboro and surrounding areas.